Let’s face it, life with a new little one is hard, especially when there is a big sister too. You know as hard as you try to keep things the same, you just can’t. Once the new baby comes along, you will think back fondly to those moments when it was just you and your first baby. When you got to spend one on one time with your first born when it was easier to find alone time for just you. Someone once told me when the second baby comes along, it doesn’t just double the work, trouble, and joy, it quadruples it. When I first talked with this momma about her in-home maternity session I asked her about what routines she wants to be preserved. What memories does she create with her daughter and herself that she wants to be preserved? Her answer was mornings, their morning routine where they eat breakfast together, play on the floor and enjoy each others time was scared and she knew it would change and melt into something new once the new baby came and her older went off to school. The other important thing they do is one morning every week they check out story time at the local library. After morning breakfast and a little play time, it’s off to get ready for library time. Anyone with a 3 year old understands this process and the length it takes. These images are important for so many reasons. Not only do they highlight what their life is really like, it gives this little girl a chance to look back on life when it was just her and mom. It’s time she probably won’t remember because none of us remember life at 3, but as the first child, we know life like that existed at one time. There was a time when that annoying little brother was in mom’s belly. We would talk about him, listen for his heartbeat and talk about the wonders of life. Now it’s off to the library for story time, animal yoga, silly songs, and bubbles. Those things that will be a little harder when the new brother comes along. The things that mom will try her hardest to keep routine, but there will be days when the baby didn’t sleep well or is napping that it just won’t happen. After all the songs have been sung and the bubbles popped it’s time for big sister to head off to school so mom can soak in her precious alone time. She knows this time is short and wants to relish in it as much as she can. Plus there are a few last minute things to get ready for the new baby. “A few days ago I sent a link to a potential client with some photos that Kelly took when I was pregnant with my second child. 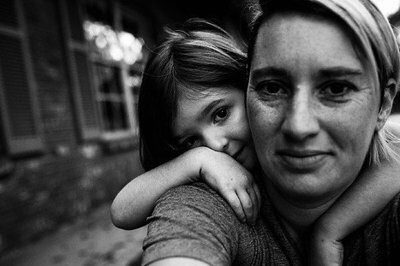 I wanted to share my personal experience with family documentary photography and how important it was in my life. That was a serious, meaningful “I love you, mom”. I could not be more grateful for those photos after that.